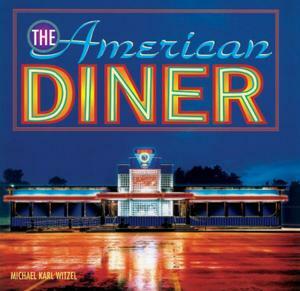 Michael Karl Witzel's book American Diner first published in 1999 featured stories and history about the diner industry, including a mention of our work on page 142. 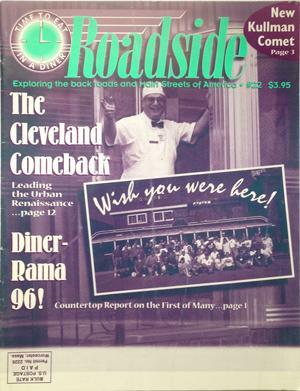 Read more: From "The American Diner"
In 1995, Roadside Magazine began its expansion from simple coverage of the American diner to full-blown exploration of whole communities that embodied its editorial ethos centered around something it called its "Recipe for an American renaissance: Eat in diners, ride trains, shop downtown, put a porch on your house, live in a walkable community." Publisher, Randy Garbin paid a visit to Diversified as part of its coverage of Cleveland and profiled our work. Steve Harwin stands in the gutted hulk of an old diner that's sitting on a flatbed trailer in the parking lot of a warehouse in Cleveland. Harwin looks around him at the toll time has taken on this relic of the past: stripped-out booths, stools, and kitchen equipment, conduit sticking out of gaps in the ceiling, missing wall panels that expose the structure's wooden frame. Despite the mess, Harwin appears happy. He has a vision of the future — this dilapidated diner gleaming as brightly as it did when it was new. "This is history," he declares. "You can't throw away history." A subcontractor interrupts Harwin's vision of the future to discuss the stainless steel he's suggested using for the window moldings. The moldings would look fine to almost anyone else, but Harwin doesn't think they're shiny enough. 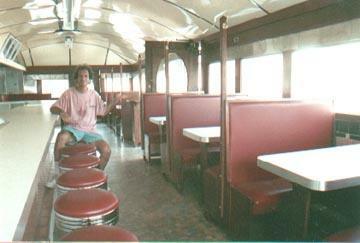 He admits later that few of the diner's future patrons will notice his extra at­tention to detail.